Parasite Galaxy - Float like a Butterfly, Sting like a Jellyfish! Comic 427 - Float like a Butterfly, Sting like a Jellyfish! 5th Feb 2018, 6:30 PM in Float Like a Butterfly, Sting like a Jellyfish! 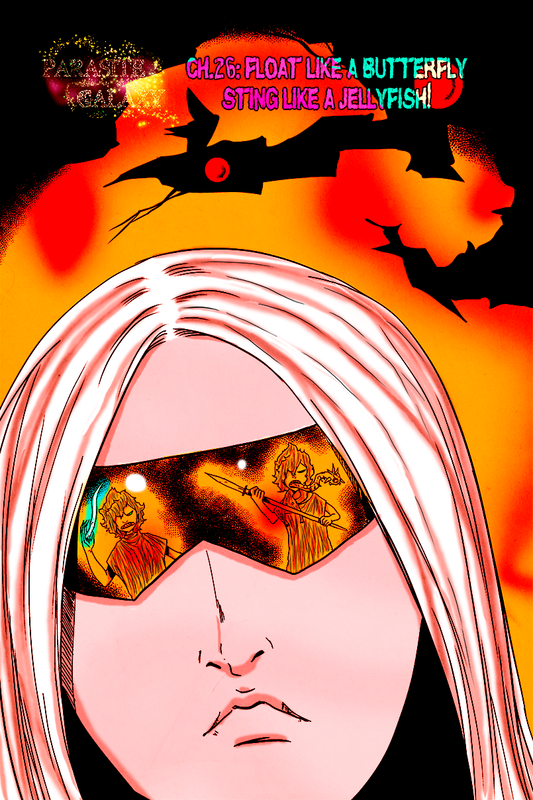 Parasite galaxy is back, this will be an extra long chapter, so even if there's another break it wont be for a while. Also in unrelated news, apparently there's this meme about people eating tide pods and some people actually did that? So first of all I have to ask, why is this a meme? I mean usually something becomes a meme because it's funny in some way but why is pretending to eat a tide pod or actually eating one funny on any level? I mean what even is this? What am I looking at? Why is this a thing? This is like if eating soap became a thing. From rumors of a hollow husk of a joke, peeps would "eat" Tide Pods. Just a photo, not like they actually did it. The reason was due to the Pod resembling Fruit Gushers. Apparently, some folks took it... too far.